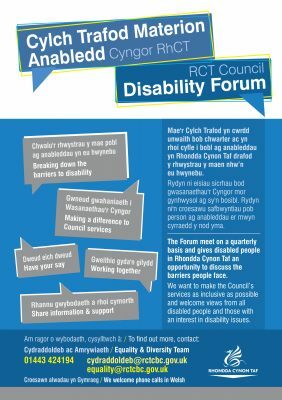 Founder Richard Jones is proud to be a member of the Rhondda Cynon Taf Disability Forum; this is an opportunity to discuss the barriers people with disabilities face within the local authority. The Forum meet on a quarterly basis and aims to help make the Council’s services as inclusive as possible and welcome views from all disabled people and those with an interest in disability issues. For more information download the flyer here .